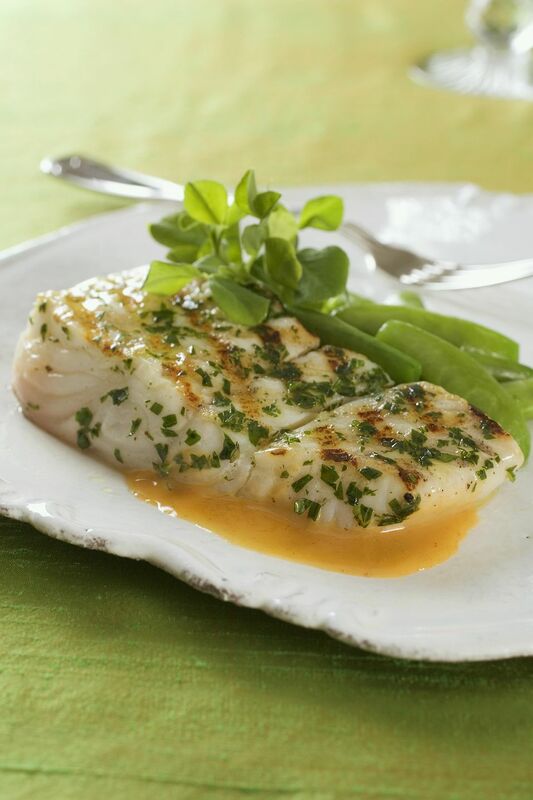 This grilled halibut dish is accompanied by a sweet yet spicy sauce. Very flavorful! 2. Place all sauce ingredients in medium saucepan. 3. Simmer over medium heat for 5-6 minutes, stirring often. Reduce heat to low and simmer for 3-4 minutes more. 4. Remove from heat. Reheat sauce for 1-2 minutes before serving with fish. 5. Brush fish with some of the melted butter and season with salt and pepper. 6. Place onto grill grate and cook for 3-4 minutes per side, depending on​ the thickness of fillets. 7. Baste with remaining butter during​ the cooking process. Once fish reaches an internal temperature of 145 degrees F, it is done. 8. Remove from heat, top with warmed rum sauce, and garnish with cilantro.